By the time you decide to drive four (4) and a half hours west of Kampala, you are surely looking for something that cannot be offered in the heart of Uganda’s Capital City. I guess you just want to see a few stripes of black and white, some crocodiles and a large number of hippopotamuses (I love that word) compacted in Uganda’s smallest area of a Savanna National Park. And now here you are, arriving at the Sanga gate of Lake Mburo National Park, there and then you hear the “whispers of the wild”; the climax to your Safari in Uganda has just started. I won’t let you go in without hearing this story. Long time ago there lived two (2) brothers called Mburo and Kigarama who both reared their own long horned cattle migrating within the grassy paddocks of this area. One night as Kigarama was in his sleep, he dreamt of a sudden water outpouring that was going to flood the land which he and his brother called home. Kigarama thought this to be a caution from the gods of a calamity that was to befall the land. In the morning, he narrated the dream to his brother Mburo and suggested that they migrated before the disastrous floods came. However Mburo saw no sense in his brother’s story and just went on with his daily duties. Kigarama however quickly left the fertile grasslands with his property and moved to a nearby isolated hill. It was not too long until the floods began to swallow the area. Mburo and his property were covered in the water while Kigarama and his property survived on top of the hill. The water increased in quantity and formed a lake which the succeeding generations chose to name after the man it had swallowed, “Mburo”. The floods also formed a series of other swamps which have attracted a number of animal and bird species over the years, many including antelopes, shoe-bills and baboons, which can be seen on the long awaited Uganda Safari to Lake Mburo National Park. The nearby hill where Kigarama hid from the floods was also named after him and will also be viewed as part of the safari and tour package to Uganda’s western park which got its name from Lake Mburo. 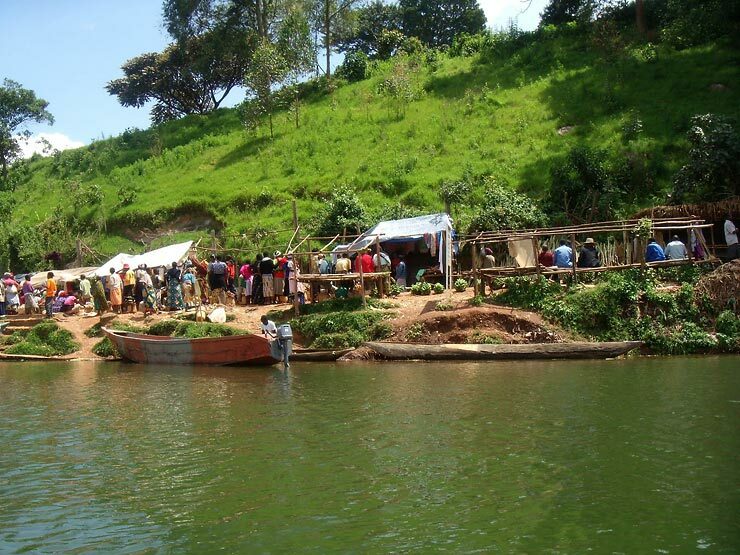 Even at the time of gazetting Lake Mburo National park in 1983, the Obote government chose to maintain the Lake’s legendary name which until present tells a recurrent story of a man who failed to heed to his brother’s advice. Fortunately, today Mburo’s involuntary sacrifice echoes loudly in the abundance of life that surrounds his lake therefore supporting successful tours and Safaris in Uganda. Now that you know where the park’s name originates from, I can let you enjoy your Safari. Bon Voyage!